Four tracks, one from each of our albums. If you would like physical copies, all four albums are available directly from us here or from Discogs. ‘Bird Haus‘ (Fo Fum Records, 2012) is a six track album, five recorded live in the studio, and one recorded live at Cafe Oto. ‘Bird Haus’ is available for £5 plus P&P from us directly via Paypal or from Discogs. 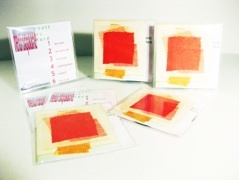 ‘UnReason; live at the Vortex’ (Fo Fum Records, 2010) is a six track live album of Red Square’s barnstorming 2010 set at the Vortex, London, plus a bonus track recorded during a broadcast on Resonance FM. 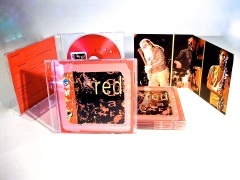 ‘UnReason’ is available for £5 plus P&P from us directly via Paypal or from Discogs. 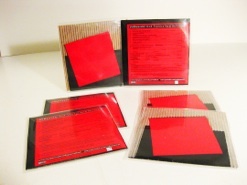 ‘Shuttle Bag’ (Fo Fum Records, 2009) is a four track EP of the first recordings we made after Red Square reformed. ‘Shuttle Bag’ is available for £3 plus P&P us directly via Paypal or from Discogs. ‘Thirty Three’ (FMR Records, 2008). 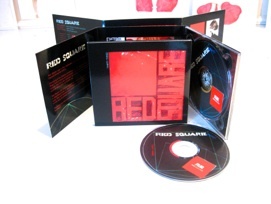 Ten recordings from Red Square’s first incarnation, between 1972-76, including re-mastered tracks from our two cassette-only releases “Paramusic’ & ‘Circuitry’. ‘Thirty Three’ is available for £5 plus p&p from us directly via Paypal or from Discogs. ‘The ten tracks on ‘Thirty Three’ would sound new even if they hadn’t just been remastered and re-released. For a start, they sound uncompromisingly loud, with a momentum and urgency that confronts the listener like an imminent stampede. …..angular electric guitar lines, precipitous and surly, lay chaotic foundations for rasping woodwind and frenetic drums to chase one another round. Pauses are few and solos almost non-existent: guitar and saxophone, or bass clarinet, occasionally come together in shifting harmonies like a punk take on Terry Riley. Low-end, atonal riffs kick in, closer to King Crimson or Black Sabbath than the era’s touchstone for improvised electric guitar, Derek Bailey, although his presence can be felt in the wide intervals, the scribbles of noise and feedback. Cymbal crashes pile up like debris; clatters of unlikely percussion amid rolling, fluid full-kit playing. There’s a scrawl of violin. It’s loose, unself-conscious, psychedelic music with the kind of gonzo charge that followed in the 1990s. Phil Todd’s Ashtray Navigations springs to mind, as does Mick Flower and Neil Campbell’s Vibracathedral Orchestra. ……a raw, ecstatic DIY transcendental music, I also hear contemporary sax-led noise bands such as Zu and the Thing, who rejoice in the instrument’s noisiest possibilities. ‘Thirty Three’ could be on Load or Smalltown Superjazz’. Frances Morgan, ‘Red Square and Southend’, Loops, issue 02, April 2010.